There is no parking outside the restaurant, however there are meters around Golden Square which is just behind the restaurant. There is also an NCP on the corner of Brewer Street, one minute walk away. The nearest tube is Piccadilly Circus on the Piccadilly and Bakerloo lines. Upon leaving the tube take Exit 1 and walk up to Brewer Street. 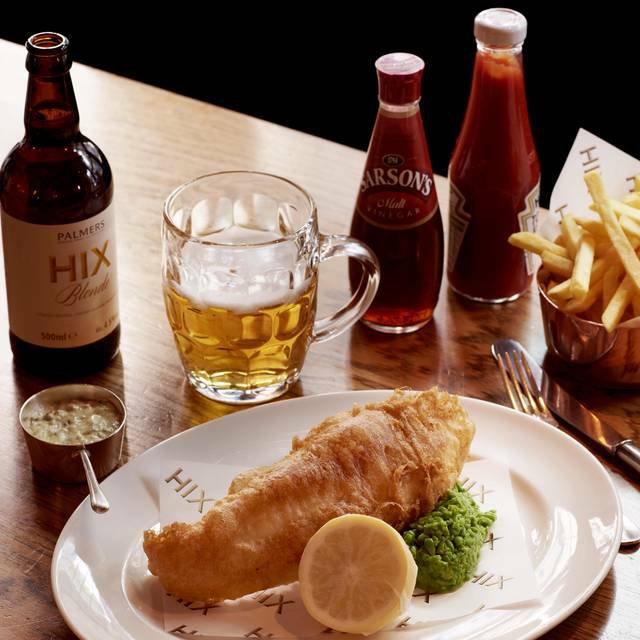 HIX is just a 2 minute walk from the tube. Watch out for the occasional DJ night in Mark's Bar. Check the website for updates. 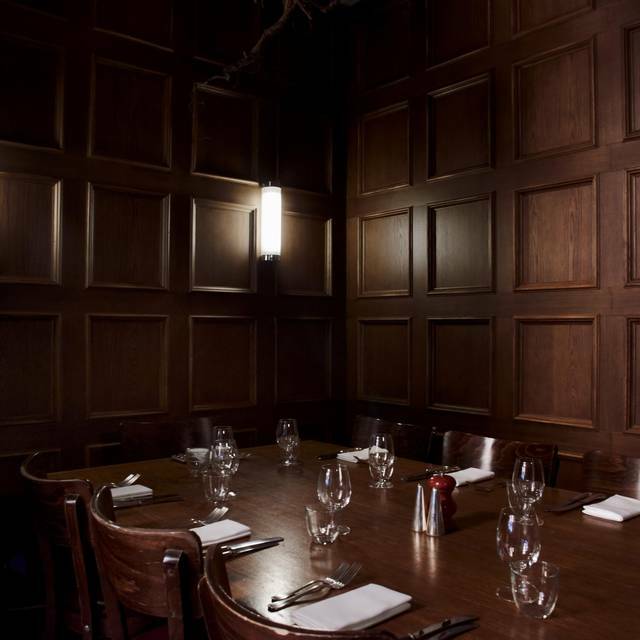 HIX Soho’s private dining room is an intimate space ideal for breakfast meetings, or private lunches and dinners, seating up to ten people. Mark’s Bar is an informal setting which is available for hire at lunchtime and dinnertime. It can comfortably accommodate 48 people for a sit-down meals or 80 people for canapé and drink receptions. An ideal and popular location for photo shoots and filming, this space can also be hired out in the mornings before lunch service. 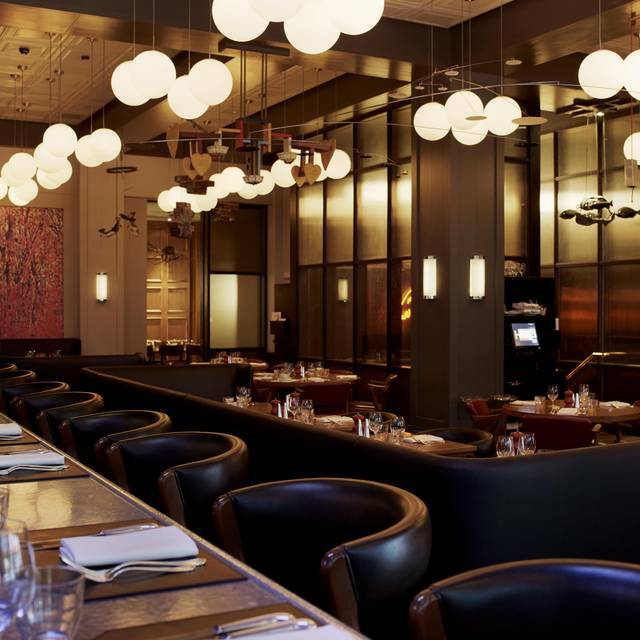 Located in the heart of Soho, an area which is quickly moving towards fast casual, to visit HIX Soho is to experience true hospitality and the subtle elegance of service-craft. 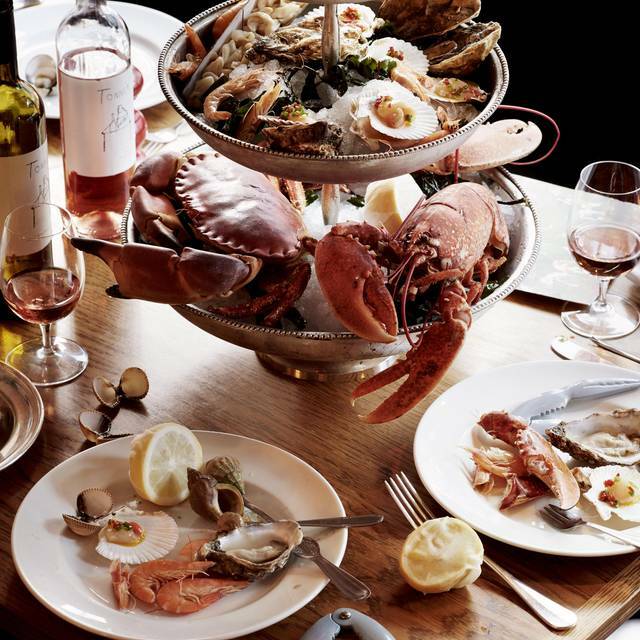 With an unrivalled dedication to seasonality HIX Soho brings fish and shellfish to the forefront, offering a premium seafood experience serving carefully sourced produce from the British Isles. 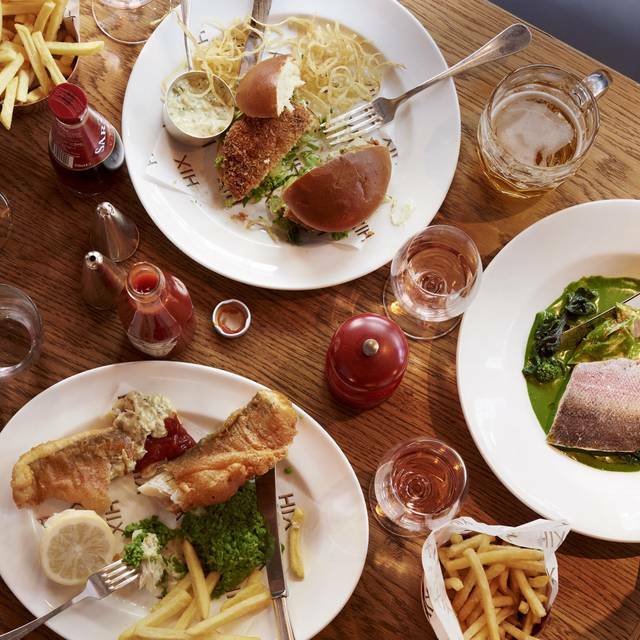 Open all day every day, HIX Soho is the perfect spot for pre-theatre dining. 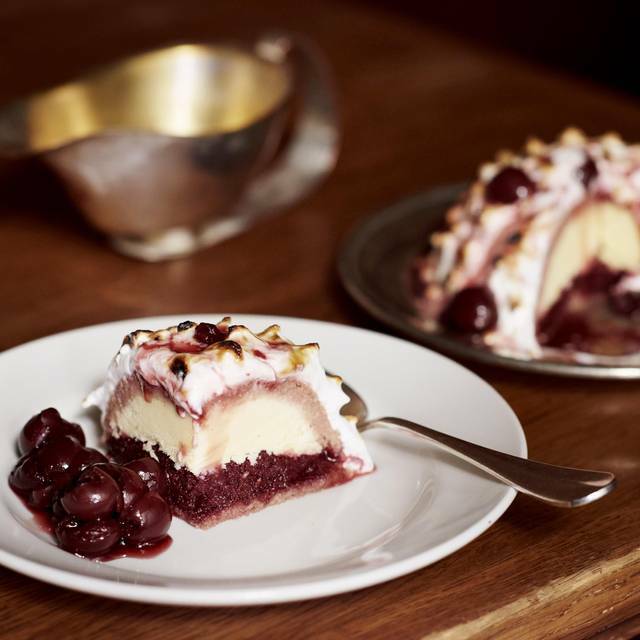 A set menu is also available until 6.30pm every weekday for only £19.50 for 2 courses. Join us for Bottomless Brunch on a Saturday or the best British roast every Sunday. 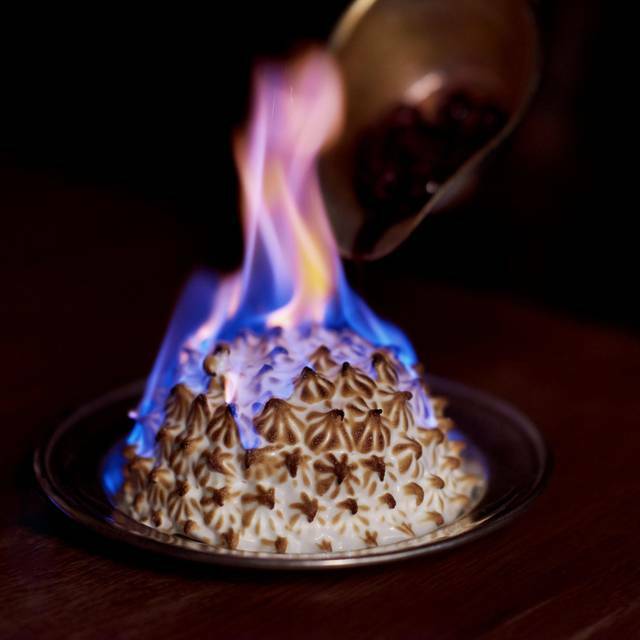 Downstairs is the iconic Mark’s Bar with its apothecary bar and an eccentric seasonal cocktail list. The all-day menu offers a selection of international small plates, ideal for sharing. Excellent food, good service - a treat as expensive for Sunday lunch but worth the effort and money. Delicious tasty food, roast beef a must, big portions, huge Yorkshire pudding. Ordered Prawn cocktail, didn't realise cucumber would be chopped through lettuce so couldn't eat as allergic but apart from that will be back. Food was excellent and even a great choice for vegetarians. An interesting place and a nice and secluded despite the central Soho location. However, service was somewhat slow. Still a great choice but not one if you’re in a rush! Awesome meal as ever at Hix. Sat at the counter which is always fun. His is consistent in quality both in terms of food and guest experience. Friday lunchtime & virtually empty so little ambience. Had the daily menu spaghetti with prawns and chilli. Nothing special. Rhubarb Eton mess had tiny cubes of rhubarb on a pile of cream and meringue that you see at a lesser restaurant. Disappointing. Heard good things about this place but left a bit disappointed. The food wasn’t bad but it also wasn’t great. Especially for the price. Decor is great and ambience is good but think I will just return for drinks in marks bar downstairs rather than for food. Moment in time I suspect. Generally really like HIX Soho - but was very, very quite (school hols?) and food didn't seem quite up to usual standards - fine, rather than great. We had a lovely time but the service was very poor. We sat at our table and no one came to take an order for 30 minutes at least. Welcoming staff, very well cooked and presented food, creative wine list with 500ml carafe option, great cocktails and they acknowledged out birthday with a truffle treat at the end of the meal. Beautiful interior, comfortable and stylish seating and overall a great experience. Would definitely recommend to others. The pre-theatre menu was great. steak was very chewy, the room was loud and busy without much space. Mother’s day Sunday lunch was lovely. Great food & service only slightly let down by the over-priced Pouilly Fume which didn’t live up to the name. Better off choosing the more modestly priced Muscadet or Sauvignon. Will be back tho. Very noisy, warm & dark in the dining area. However, the food was delicious & well-executed, plus waiting staff were excellent. We were not served the cockle popcorn, but they did not charge for this. However, I’ve been advised that I missed a real treat - so will come back & head to the bar area downstairs (for more moreish cocktails & those yummy bar snacks)! We used a 50% off discount card from TimeOut, which made it exceptional value for money. Truly wonderful service and the food was delicious!! Food was delicious and service was impeccable however there were only a few covers in the restaurant for lunch which meant it lacked some ambiance. We all had the set menu which was very good value. Particularly enjoyed the butternut squash with whipped goats cheese starter. Very friendly hostess escorted us to the counter seating. Very ambient and warm restaurant. The bartender behind the counter was polite and unobtrusive. The food was delicious. Superb menu and a great set of choices for vegan and vegetarian diners too. Food ok , at best . Service well intentioned but shambolic and very slow and patchy . There didn’t appear to be anyone in overall charge ... and it showed . There are many better places in London to spend £50+ / head . Loved it! Perfect evening - great food, service and artwork. Highly recommend. The service, design, music and ambience is amazing. The food was not as good as I would thought it would be. Lovely room but the food terrible. Both steaks were gristly. The chips were McDonald's type fries. The Lemon Sole was under cooked and lukewarm. Mash that came with it was not creamy. We ordered carrots and they only arrived - despite us asking during the meal - when everyone had virtually finished. Disappointing to say the least. I hadn’t been here for some years but used to love it. Something has gone wrong. Service was pleasant enough but they expected us to order way too quickly and we had to ask twice for more time. We came for late lunch pre theatre and rather bizarrely found ourselves sat in the unofficial children’s section; three other separate tables with youngish children. I asked about this and it was just coincidence they said. I like kids and thankfully they were well behaved but the real problem lay with being seated close to the accessible lavatory with the door opening straight into the restaurant. There was a function in the bar downstairs where I assume the other toilets are because everyone was being sent to this one accessible toilet so a queue was forming. The food was often disappointing. Oysters were good but lamb cutlets were skinny with more fat than meat, accompanied by underpowered mint sauce and under-seasoned potatoes. Samphire pakoras sounded exciting but were a let down (much more batter than samphire). Monk fish curry as okay. The side dish of artichokes were the best thing we ate. The cheese was unexciting (perhaps not very well kept) and the Dorset cobs and crackers that came with it were dried up and cardboard like. I had a glass of champagne at the start; it tasted good but was pretty flat. All in all certainly not worth the price. Enjoyed the food but service was awful and ruined it a bit. Had to wait >20 mins for drinks. Asked again after food arrived and was just told they would come when the food was served. Slopped some of the mussels sauce on the table and just mumbled something then didn’t do anything about it. Given wrong menus for dessert and didn’t seem to care much about that. Asked for the bill then another interminable wait to actually pay so we just packed up and had to pay on the way out. No smiling at any point, barely spoke - not what you expect nor what I had experienced before here. Great restaurant with delicious food and lovely atmosphere - the bar downstairs is great for pre/post dinner cocktails, which they dont shout about, so good to know that is there! This would have been a nice meal had everything fired like it’s supposed to - sadly nothing really did. Drinks in Mark’s Bar beforehand were good but not great. When our table was ready and we moved upstairs, our server offered to bring our drinks for us ... sadly they went missing en route, and after two APBs they were made afresh (no quibble, nicely done). Our waiter was insistent on taking our order as fast as possible; we had to send him away twice as we simply weren’t ready, and he clean forgot to tell us the catch of the day. My starter of Steak Tartare was offered to me in small or large - so I was surprised when the large then turned up with fries (for a starter!) - presumably this was actually a mains alternative, incorrectly offered. On the flipside, a mains pasta was also offered in small or large, but the large was not really a mains-sized portion. Certainly from what we ate, portion control is a problem here. Mains followed starter so swiftly that some plates and the condiments had not yet been cleared, and whilst one of us was in the restroom. That’s just very poor serving practice. My steak came with a cold salad on the same plate, hence a cold plate; it doesn’t take a genius to work out that a medium-rare steak, rested, on a cold plate ... is ... a cold steak. Serve the salad separately, for gods sake: it’s not rocket science (yes, that’s a salad pun). With no time between courses, we were done and finished before the wine was half-drunk, so we re-corked it and took it home. To cap off the ‘everything that could go wrong, went wrong’ story, we had been given the wrong cloakroom ticket, and the payment machine ran out of paper. The next table ‘couldn’t get reception’ on their payment machine! So ... basically a good meal spoiled by crap timing, poor waiting, lack of attention to detail, and (to be fair) bad luck. I guess they’re just coasting on reputation, and that’s being generous. 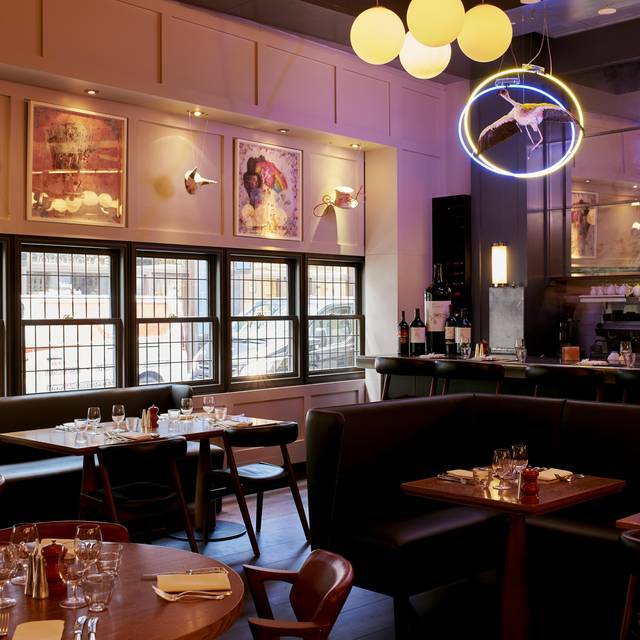 This was our second visit to Hix in Brewer Street, central London. A great and relaxing cellar bar with good cocktails,service and bar snacks. The bar does get busy with the after-work crowd. The restaurant was simple and efficient, with wonderful food and a good-value for-money pre-theatre menu, which two of our party went for. Overall a great experience to a high standard. Marvellous! Service was incredibly poor from the outset culminating in starters arriving before the drinks and main courses arriving before the starters were finished, and while the food was relatively tasty, it was tepid. a bit pricy for the quality and inconsistency of the food you get, service is great though! I’m really disappointed about this restaurant. Long waiting time before they realised we were there. Long waiting time for our table. Long waiting time for our cocktail in the bar. Oysters orribile, without their water and no meat at all. No drinks offered us during the meal, we enjoyed our tap water. Cod and monkfish totally plain. No wow factor. No one check on us, if everything was fine. For the quality of the food and the service offered, too expensive. Luckily with code app 50% off food! Service charge removed. Was a total joke! It’s a pity because the location is stunning! Great food - all the fresh fish and seafood was delicious, but sides (fries and veg) a bit disappointing compared to the main feature, and there is a lot of chilli hiding in the food which is a bit frustrating if you're not a chilli fan like a couple of us weren't. Desserts absolutely dreamy! The one thing that really lets this restaurant down is the toilets. You have to go all the way downstairs and right through the bar to get to them which is a bit of a trek. They're not kept in the cleanest and tidiest condition either and I always think this reflects badly on a restaurant especially a higher end place. Overall though, we really enjoyed dinner and would come back. We went with our baby daughter and we all loved it. Great food and really lovely service! Highly recommend! Staff was very friendly. Food was great! A disappointing experience. Although the staff were very friendly and helpful, the service was very slow. It should not take 25 minutes to receive an cocktail at the start. 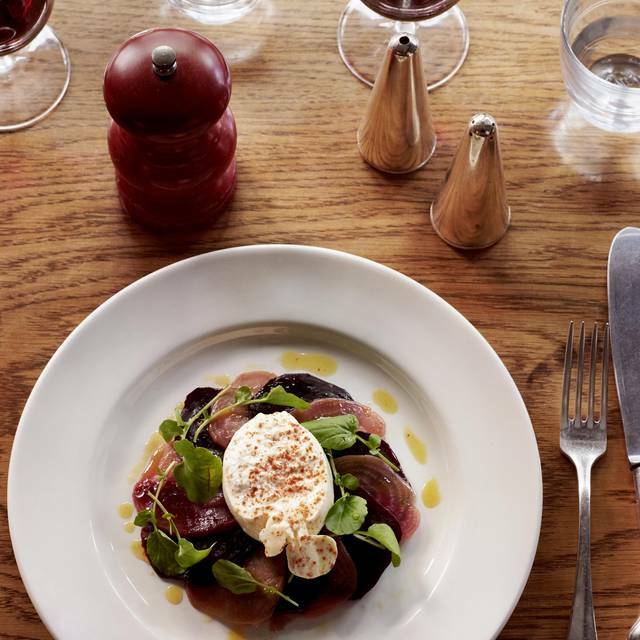 The most disappointing was the food, the key reason for going to HIX. My calamari starter came lukewarm and my husband’s crab dish was not impressive. Very disappointingly, the steaks were of average quality, especially considering the price. My filet was best described as average if not a bit tough!